CHISPA, Inc. is building new low-income senior apartments on De Forest Avenue next to the Post Office. This is an update on construction progress. 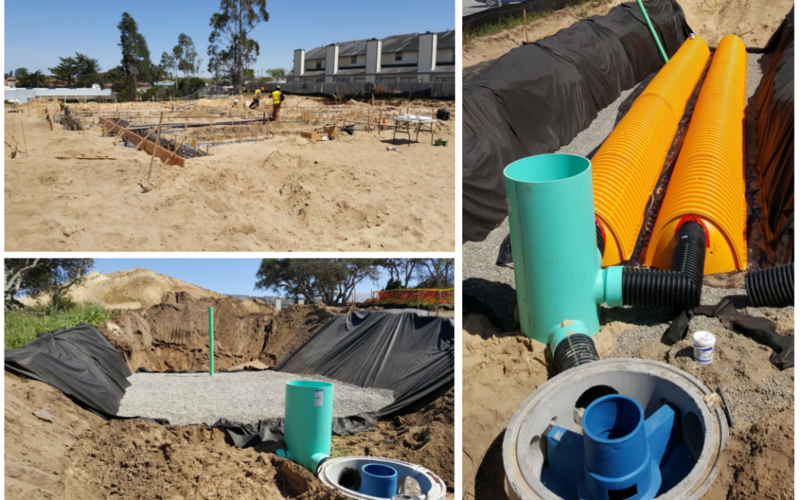 Earthwork is now in the final steps: we are placing the underground stormwater infiltration system (see the article below for more about it). We have also completed the on-site sewer infrastructure. The building underslab plumbing is complete, and we have begun pouring the concrete for the bottom foundation footing of the building. We anticipate completing Junsay Oaks Senior Apartments in the spring of 2019. Visit our website at www.chispahousing.org for more information.